On July 8, 1994, the Seattle Mariners came to Fenway Park. Along with them came 18-year-old Alex Rodriguez for his Major League debut. The Mariners had talent but were 12 games under .500. 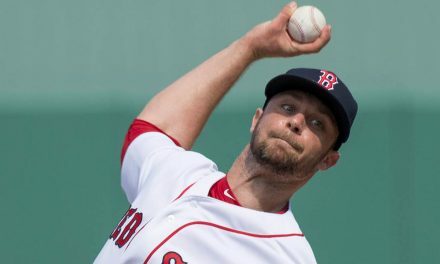 The Red Sox had gotten off to a 20-7 start, but after a miserable June that saw them lose 11 straight at one point their record had fallen to 40-43. The game had a late start time, getting underway a little past 8:00 pm on a Friday night. 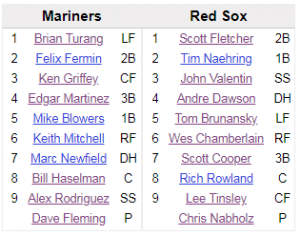 The Mariners lineup featured possibly the best player in the game in Ken Griffey Jr. Former batting champion Edgar Martinez was batting cleanup while the 18-year-old phenom batted 9th. In the leadoff spot was little known Brian Turang, the father of 2018 first round pick of the Brewers Brice Turang. The Sox were absent their biggest bat, as Mo Vaughn took a seat. Left-hander Chris Nabholz was taking the mound for just the second time as a member of the Red Sox. Nabholz allowed three baserunners in the first but no runs came in to score. The Sox got off to a slow start against lefty Dave Fleming. The Mariners hurler had been good the previous two seasons but was off to a miserable start in 1994. 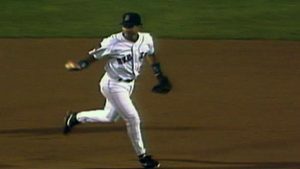 The Mariners scored first when Ken Griffey tripled to center in the third. In the fifth, Bill Haselman reached first on an error and would come around to score on a base hit from Felix Fermin to give the Mariners a 2-0 lead. Meanwhile, Fleming was cruising, throwing five shutout innings to start the game. With the Sox already trailing 2-0, the Mariners put on the first two men in the sixth inning. Things were looking a little dicey for Chris Nabholz as Marc Newfield stepped in. Newfield hit a sinking liner towards short that John Valentin snared just above ground level. Mike Blowers had been running and was already by third base when Valentin caught the ball, so Valentin ran over to second and tagged it for out number two. Keith Mitchell, who had been running from first, seemed to be caught off guard with what was happening as he made no effort to retreat back to his bag. Valentin tagged him on his way by to complete the unassisted triple play. Not even the announcers were sure of what was happening. In perhaps one of the most confusing and odd plays you will ever witness, only taking a listen for yourself can do it justice. After completing the unassisted triple play, Valentin was due to lead off in the bottom half of the sixth inning. After battling Fleming to a full count, Valentin homered over the Monster in left on the eighth pitch of the at-bat to put the Sox on the scoreboard. Andre Dawson then worked the count full as well before doubling to left, chasing Dave Fleming from the game. Bill Risley came aboard to face Tom Brunansky. After falling behind in the count 1-2, Brunansky homered to left to give the Red Sox their first lead of the game. 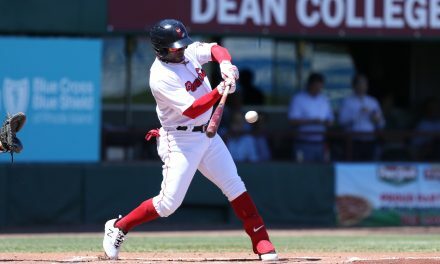 This was Brunansky’s sixth homer in 19 games since rejoining the Red Sox via trade. After the next two men were retired, catcher Rich Rowland took a 3-1 pitch out of the yard for the team’s third home run of the inning. The Red Sox now led 4-2. Chris Nabholz kept the Mariners off the board until the ninth. He had allowed just one run in the third and an unearned run in the fifth before Mike Blowers greeted him in the ninth with a home run to close the gap to one run. In came closer Ken Ryan to try and finish things off, and boy did he get some help. First up against Ryan was Keith Mitchell, the cousin of former MVP winner Kevin Mitchell. Mitchell hit a bullet to the left side where Scott Cooper made a nice diving stop; the throw was in the dirt and scooped by Tim Naehring for the out. Naehring usually played elsewhere in the infield, but he was able to scoop the low throw, a nice play on both ends of the inning’s first out. Next came Marc Newfield, who had lined into the triple play in the sixth. Newfield flew one towards the triangle in center; Lee Tinsley running to his left made a great diving grab just in front of the warning track. Tinsley appeared injured, lying on the ground following the play, but he ultimately got up and stayed in the game for the final out. Reggie Jefferson, who would join the Red Sox the following season, pinch-hit for fellow future Red Sox Bill Haselman. It was a good decision as Jefferson crushed a Ken Ryan offering to deep right-center. The ball was between the two fielders as Lee Tinsley and Wes Chamberlain converged in front of the wall. Both player’s leapt for the ball and Chamberlain got the better position. Leaping as high as he could, Chamberlain snared the ball above the wall to rob Jefferson of a game-tying home run. 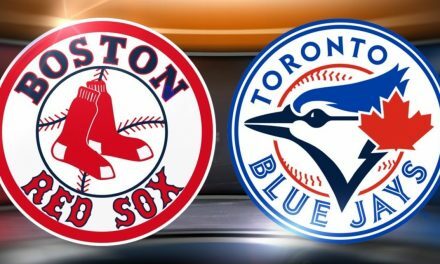 The game was over; the Red Sox held on to a 4-3 win. The Red Sox made four nice defensive plays to get three outs in the ninth on consecutive plays. It is not often you will see an inning with such a defensive show, let alone have it be for the final three outs, all capped off by a game-ending catch to rob a potential game-tying home run. It was a fantastic ending to a historic game that featured the 10th unassisted triple play in Major League history as well as the debut of Alex Rodriguez at the age of 18. If you have a few minutes, watch the ninth inning below, it is worth it. PreviousAre the Red Sox Looking to Trade for a Starting Pitcher?